"This is a brillant consistent estate, where there is no use of wood (barrels in the cellar are only for show). The wines are vinified in a temperature-controlled room full of stainless steel vats of different sizes and not bottled until a year or eighteen months afterwards- or even later. 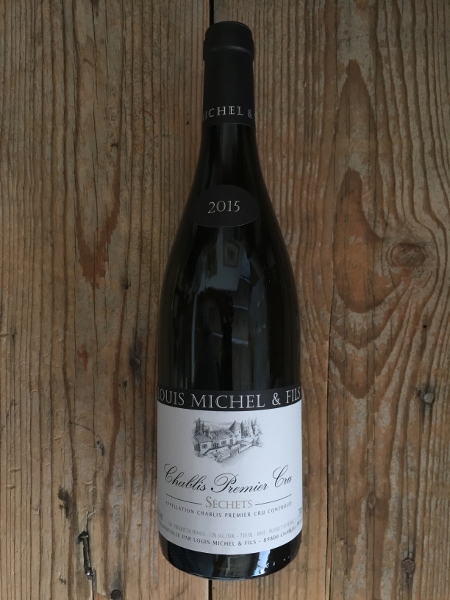 The magnificently austere and steely wines keep much longer than most Chablis..."
Jean-Loup Michel makes some of the cleanest, freshest wines in Chablis. In the great oak-versus-stainless-steel debate, the Michels are firmly in the latter camp. They make nine wines, mainly from Grand Cru and Premier Cru Vineyards, and not one goes anywhere near an oak barrel. The best wines (Les Clos, Montmain, Montée de Tonnerre) will age for up to eight years. Michel's bottling amply reflect their vineyard origins and are the premium example of Chardonnay in its purest, unadorned form..."